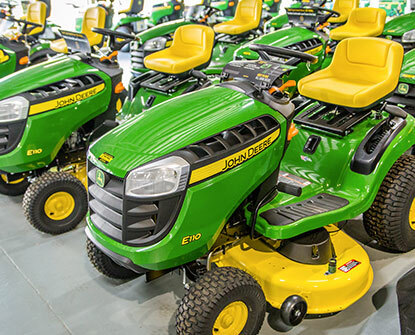 From accessories to ride-on mowers, we sell only the most trusted brands in outdoor power equipment. 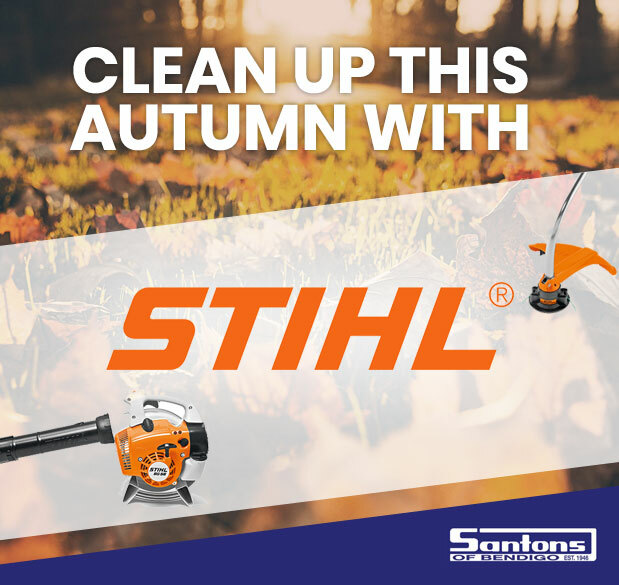 Our range includes chainsaws, ride-ons, lawn mowers, hedge trimmers, brush-cutters, blowers, pumps, generators, accessories, consumables and more. 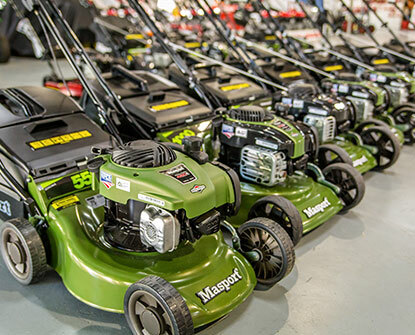 Offering servicing and repairs for lawn mowers, ride-ons, brush-cutters, blowers, chainsaws and small engines, we offer servicing and repairs on outdoor power equipment. Santons are an authorised Warranty dealer for all the products we sell and service. 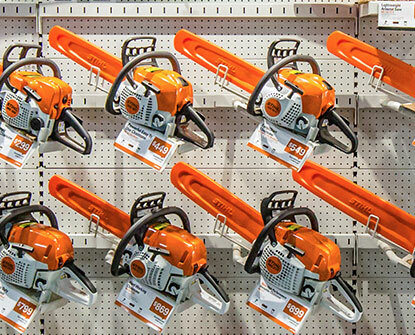 We welcome trade-ins of all outdoor power equipment such as chainsaws, blowers, lawn mowers and ride-on mowers. We also sell fully serviced, pre-owned outdoor power equipment through our Gumtree profile. Visit the Gumtree listing page. Santons of Bendigo, providing Bendigo and surrounding districts with a wide range of top-quality, trusted brands of outdoor power equipment, products and accessories, servicing and after-sales support. Our range of quality products and over 70 years experience in the industry, ensures we will supply you with the best value for money and exceptional support for all of your outdoor power equipment needs. The only way to get the best cutting performance out of your chainsaw is with a sharp chain. Over time, even the best chain will lose its sharpness and this blunting of the chain makes cutting difficult and causes the engine to work harder, causing wear.